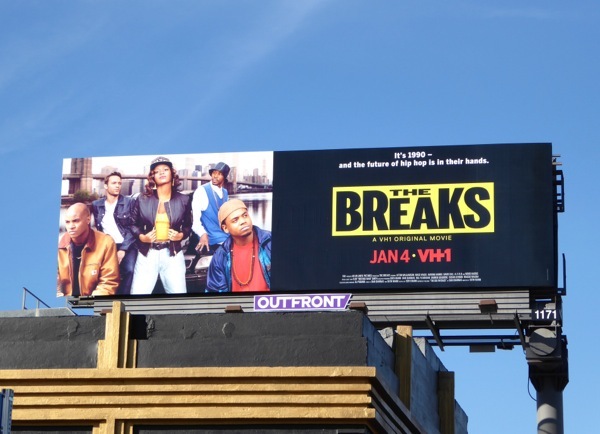 Following a week of new television shows this winter, it's time to shine a light on a new original movie courtesy of VH1, The Breaks. 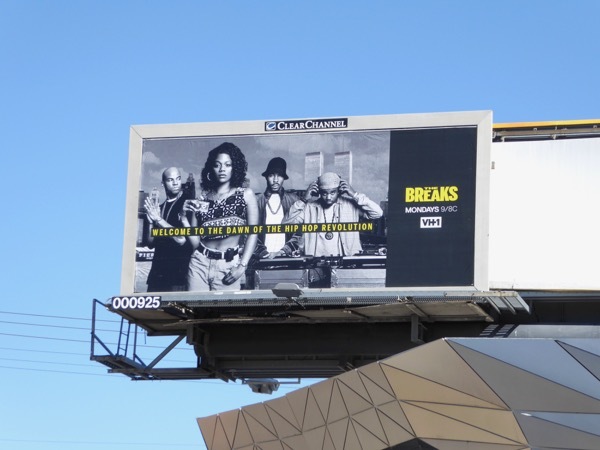 Flashing back to the 1990s, the film inspired by The Big Payback book by journalist Dan Charnas, chronicles the journey of three friends trying to make their mark in the music industry in the world of hip hop and R&B in New York City. 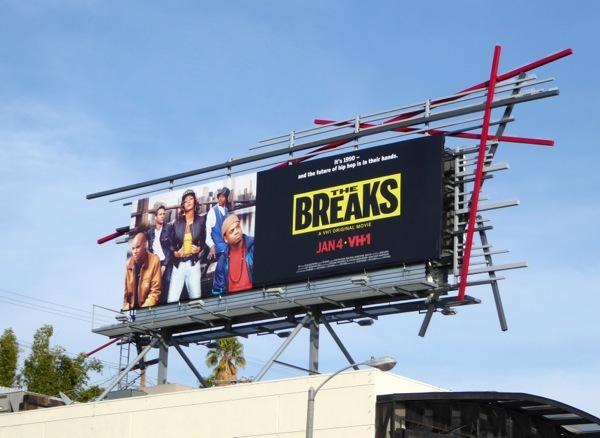 These VH1 movie billboards were snapped in multiple locations along L.A.'s Sunset Boulevard from December 16 to December 21, 2015. 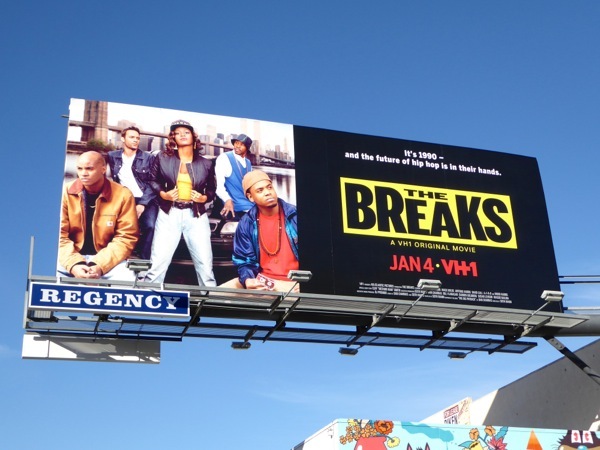 VH1 seems to have a real affinity for the 90s, as their scripted series Hindsight also took place in that time period. 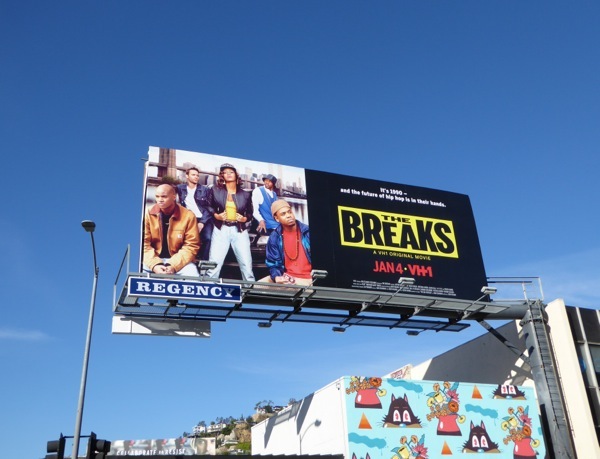 Depending on the movie's success, you may be seeing more of The Breaks as an ongoing TV series. 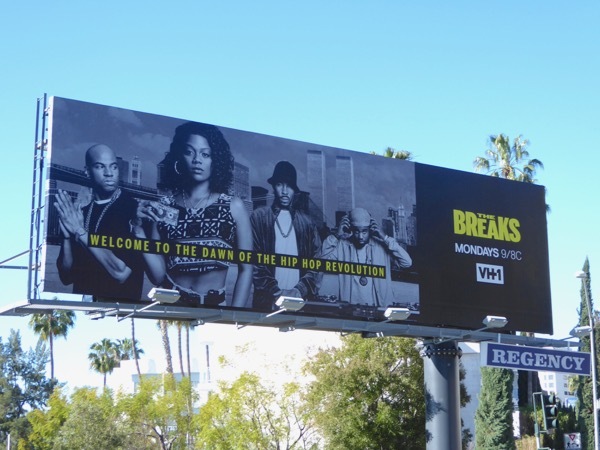 UPDATED: Following the success of the TV movie, here's some first season billboards for The Breaks TV series. 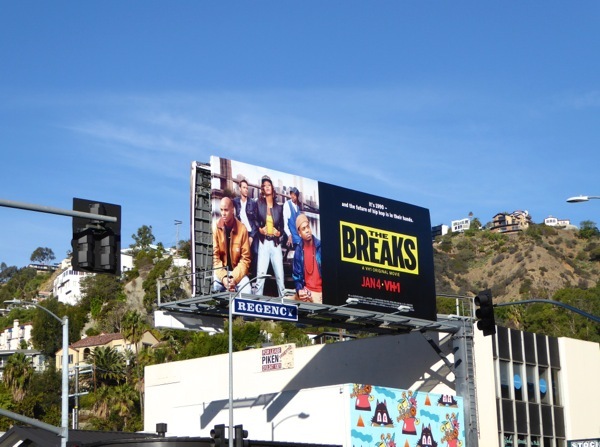 These outdoor ads were spied along the Sunset Strip on February 28 and above Robertson Boulevard on March 6, 2017.